Feel like your lower body is lacking? 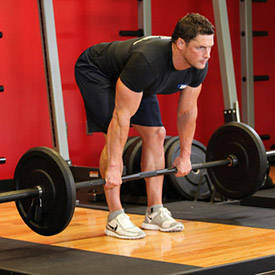 These 4 pro-level workouts from the athletes of Team MuscleTech will change that in a hurry! You've heard the saying that friends don't let friends skip leg day. 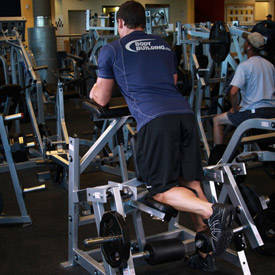 Here's one that's just as true: Friends don't let friends design their own leg day. When they do, the result often ends up being a time-consuming lower-body session that takes forever, always seems to skimp on the hard lifts (the ones you need most), and doesn't produce the growth it should. So, what does get results? 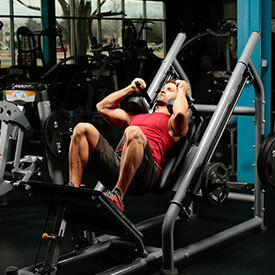 Timeless techniques like descending pyramids, 20-rep sets, and prefatigue movements, all of which you'll find in these four routines from top MuscleTech athletes. Get your favorite leg-day memes locked and loaded, because you'll be staggering after completing these four pro-level protocols! 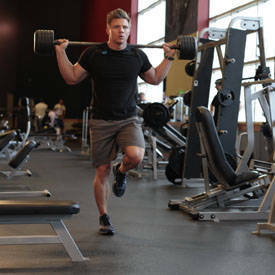 To build his lower body, fitness model and coach Shawn Russell turns to two things: heavy weight and plenty of reps. "I like to include a variety of rep ranges, devoting one day to my heavy core lifts, and then performing higher reps and work like leg extensions, leg curls, single-leg movements, along with adduction or abduction movements on another day entirely." 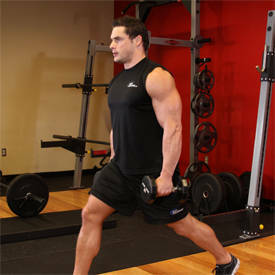 By dividing up his leg sessions like this, Russell can best focus on the core lifts—compound movements that deliver the biggest bang for your buck—without having to worry about saving energy for accessory exercises. But make no mistake—Russell's heavy day is no low-rep affair. 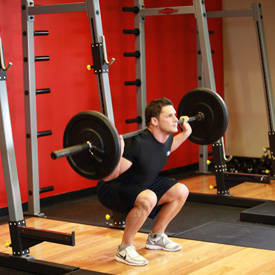 He starts off with one of the classics, a 20-rep set of squats, and only then starts adding weight and dropping reps. He's also quick to note that a mass-building routine like this one only works if you eat like you mean it. "If you want to gain more muscle mass, you'll have to eat more protein, carbs, and fat—yes, all three," he says. Russell structures his nutrient intake around his workouts to encourage lean mass gains, but also to make sure he has a full tank for a gut-busting workout like the one below. When asked about his secret weapon to building a head-turning physique, physique athlete and male fitness model Jimmy Everett's answer is simple: squat. Who can argue with him? The so-called "king of lifts" hits every muscle group in the lower body including the glutes, hamstrings, and quads, but also gives an unmistakable body-wide message to grow—or else. Everett takes up the volume when really focusing in on his leg training by adding more reps to his routine. "I'd also strongly recommend putting a high-carb day on your leg day, and adding more calories than you normally take in, to help promote growth and development," he advises. It's a great idea to add a few more carbs right before your workout and then really load them up after your workout is finished. MuscleTech athlete Eiren Gauley doesn't mess around when he hits the gym for a lower-body lifting session. 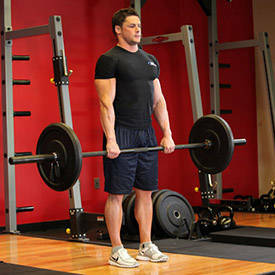 From the moment he walks in, he's getting ready, because he'll need every bit of strength he can generate simply to make it through this workout. First, he makes sure to prepare his body by doing a thorough warm-up. "I perform 12 minutes of moderate-intensity biking to get my blood moving and get in the right frame of mind," he says. "After that, I do a couple minutes of light stretching of my leg muscles before getting into it." From there, Gauley moves on to 4 warm-up sets of barbell squats, doing 10-20 reps for each set, and then slowly adding more weight as he goes. But optimizing the squat for Gauley is more than just a question of reps and loading: It also extends to technique. 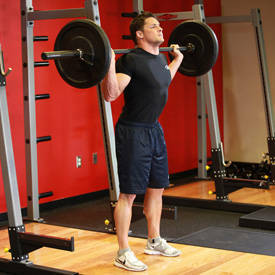 "I'd recommend that you place 10-pound plates under your heels when squatting, and keep your feet placed together in a narrow squat," he says of how to get more from this main lift. 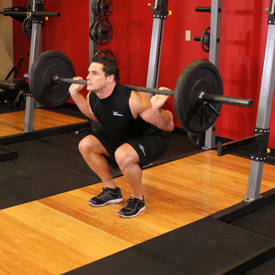 "I'll often use a tempo of a three-second negative with a one-second pause at the bottom of each squat, making sure to come up as explosively as possible." Gauley's tips don't end in the squat rack. This sought-after coach recommends keeping your toes pointed straight when doing the leg extension, and standing on 25-pound plates under the front of the feet when performing straight-leg barbell deadlifts to maximize your stretch on the hamstrings. Here's Gauley's protocol putting his knowledge into action. 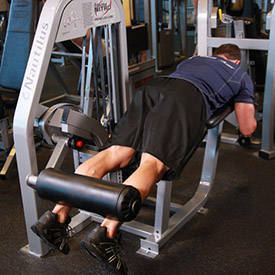 NPC bodybuilder Jesse Hobbs starts off his leg day with a few sets of leg extensions before anything else, a classic prefatigue technique that ensures his monster quads don't keep his hamstrings and glutes from getting an equal stimulus to grow. After that, it's time to get under the bar. "When I'm trying to build mass in my legs, I always squat as heavy as possible for a few sets of 6-8 reps, not including warm-up sets," Hobbs says. 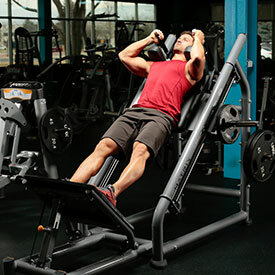 After that, he hits his lower body from a variety of angles before heading back to where it all started—the leg extension—which he stays on until he can't manage a single additional rep.